Lives were lost in this book and succeeded in tugging at my heart. It's hard to believe that the gods could doubt these heroes in any way - with how brave and selfless they are - but at the same time, those same qualities give them strength and I guess I can see how you'd fear that kind of power. Somehow I know that the next two books will be an even tougher journey for Percy and friends, but I can't wait for the adventure! 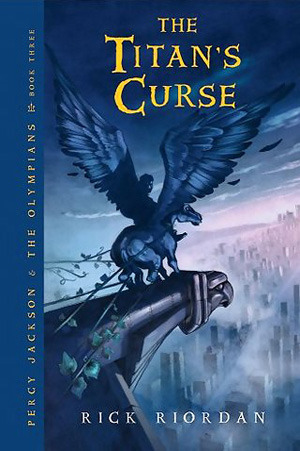 Sign into Goodreads to see if any of your friends have read The Titan's Curse.